This year promises to be one of the most exciting of my career, as many personal projects will be coming to fruition on the ground while legalization looms in the air. It is with a bittersweet sadness, though, that I have so much time to devote to the cause, as it is only possible because my love, Gayle Quin, has passed away from cancer in the fall of 2016 after a long fight with cancer. This newspaper, and virtually everything I do in my life, is now forever dedicated to her memory and we are constantly trying to live up to her ideals and standards. 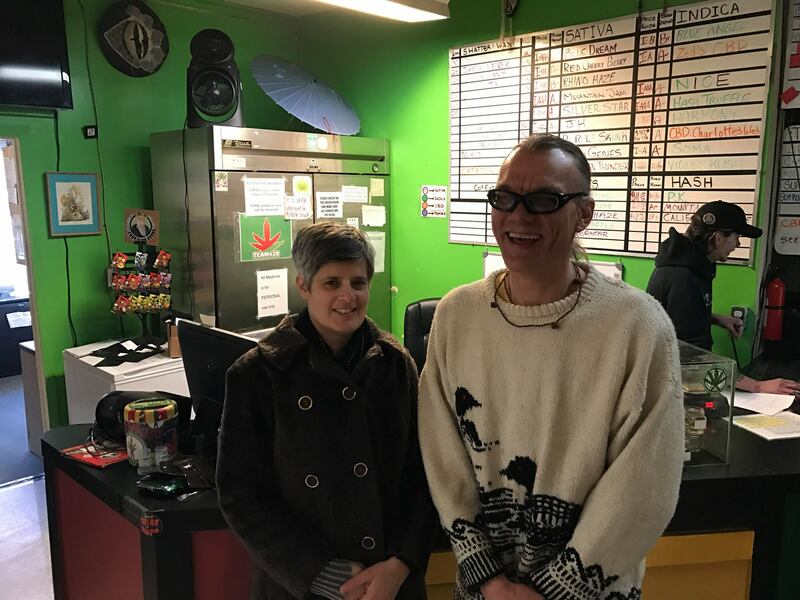 To start the year off we will be celebrating the 21st anniversary of the Victoria Cannabis Buyers Club, with our Annual General Meeting on Sun Jan 29, followed by a potluck at the VCBC. With a few open spaces on the board of directors, the club really needs some new, fresh faces to help out managing the huge potential our organization has. There will be door prizes at the AGM and lots of tasty food at the potluck, so hopefully lots of members will join us for the festivities. One of the main topics we will be discussing is the eventual shift to adult sales. While the club has initially formed to protect patients suffering from serious medical problems, it is clear that if the club is able to survive and become a part of the new legal system, it will be licensed to sell to anyone over the age limit the province determines. At some point it will make no sense for the club to limit sales to patients while other dispensaries openly sell to adults, giving them the ability to give deep discounts to sick people. With this new system, the club will still register patients separately and give them discounts and free access to the smoking room. It is my hope to create a special category for patients with cancer in palliative care situations. If we are doing well enough with sales and donations, it is my hope to provide a very deep discount and access to special products for patients dying from cancer. Next issue I will speak more of the special cannabis-focused palliative care facilities I wish to create in Gayle’s name. Of course, the big news for the club is the reopening of the smoking room. When Victoria City council passed the bylaws regulating cannabis dispensaries in Sept, no consumption was allowed at all. Bylaw officials came to the club to inform us that we face fines and could risk getting a license if we kept our smoking room open. We felt we had little choice but to shut it down and fight to get it back. It did not take long before city council realized their mistake, as the majority have clearly seemed supportive of everything our club is doing, and so, with only one opposed, a quick vote gave our club an exemption to the bylaws. 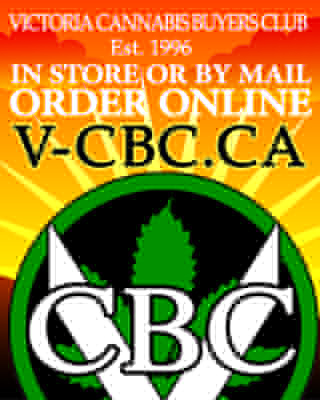 Recently the VCBC has added its fine selection of raw cannabis strains to its menu for patients purchasing products by mail order. In the past we have stuck with shipping just our food and skin products, as the risk and headache did not make it worth the effort. However, with the city preparing to give us a license that states we can do mail orders, the time seems right for us to take things to the next level. With one grower supplying the club for 18 years, another for 15, and several more coming up to 14 years of providing medicine to us, we have one of the most experienced networks of committed growers in the world. Many of my future projects will be specifically dedicated to my love. The next one will be the Gayle Quin Colouring Book, made up of front covers of the last few dozen issues of the Cannabis Digest. She absolutely loved colouring and it was always her dream to have a little book made of the front covers. We will do our best to have this ready for sale by her birthday on April 16. After that, the International Hempology 101 Society plans on publishing a small cookbook and a better version of our cannabis carol booklet in the fall. These should all be simple $5 retail books that will help us share the knowledge and joy we have gathered over the years. In the future we hope to publish a larger cookbook and several other cannabis publications. At UVic, the Hempology 101 student club is planning on hosting a series of debates this semester to help students and the public understand some of the details being considered in the legalization scheme of the federal government. 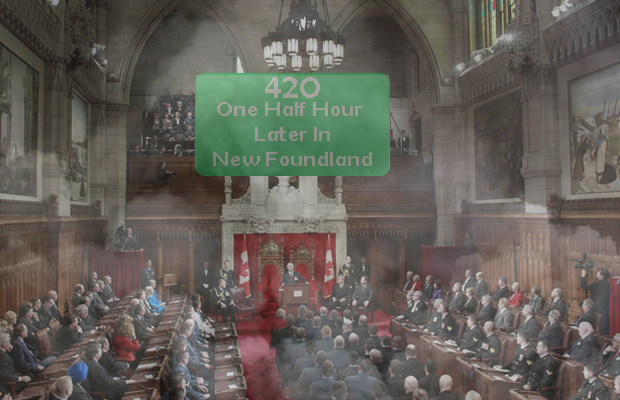 If all goes as planned there should 3 debates at the end of each month, focused on growers, patients and dispensaries. It has been a few years since the club has done more than host the weekly Weds 420 circles, which have been happening for 18 years, and we are looking forward to watching that group grow back to its former size. Those debates are being held in partnership with the BC Independent Cannabis Alliance, a loose-knit group I formed last summer to bring like-minded, local activists together to lobby the province. With so many important issues to deal with, we have been working very well as a team trying to convince the public, bureaucrats and politicians that creating an industry that includes craft growers and value-added products is the best route. Anyone interested in attending our monthly meetings should contact me. With the provincial election coming up in early May, we are all hoping all three major parties in BC realize that the existing craft networks fighting to become a part of the new legal system need to be a part of any industry model they create. Everyone in the province concerned about tight regulations squeezing out current suppliers and distributors should help us write letters, ask politicians questions at debates and engage in social media. Together we can make the public realize that the best outcome for everyone is a fair, open regulatory system that includes small business. Of course the next big party everyone is looking forward to is April 20. In Victoria we hope to add live music and more vendors to the mix this year, though we will refrain vendors from selling cannabis products for several reasons. We are hoping to have far too many people show up for Centennial Square to handle, forcing the city to give us a bigger better space for future years. Watch for posters with details about the performers. Looking ahead to 2017, the future seems very bright indeed for the Cannabis Digest, the Victoria Cannabis Buyers Club and myself personally. I feel I cannot thank my friends, the writers and advertisers of this paper enough, as the Cannabis Digest would not have survived the last few years without volumes of support from you all. While there is still a struggle ahead, knowing I have such a strong foundation behind me makes me feel ready to take it all on again. I love the consideration for true compassion in plans for the future! Using some of the profits from adult sales to make medicine more affordable for patients in need is a wonderful, community-serving idea. And the particular focus on helping cancer patients is a perfect way to honour Gayle Quin, and her amazing contributions.